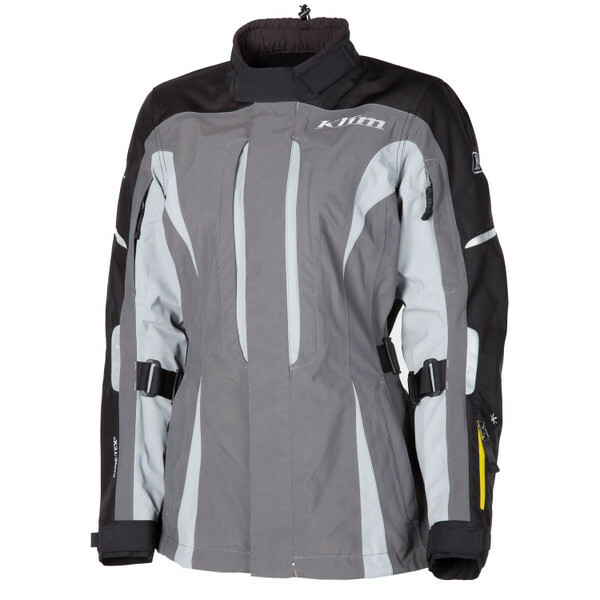 Engineered for women by women: Artemis, Altitude & Avalon by KLIM. Developing motorcycle clothing for women requires focus and perspectives, above all however, also an intuitive understanding for specific demands. 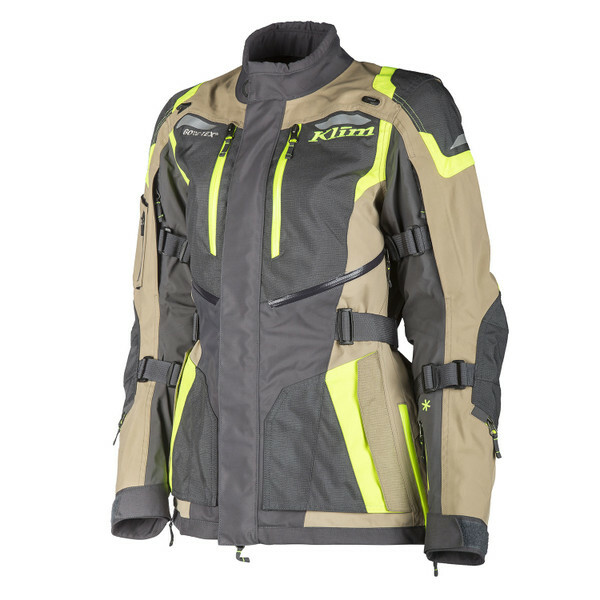 Feminine style in a functional performance product, depending on need and personal preference - the KLIM product range has something for every lady. 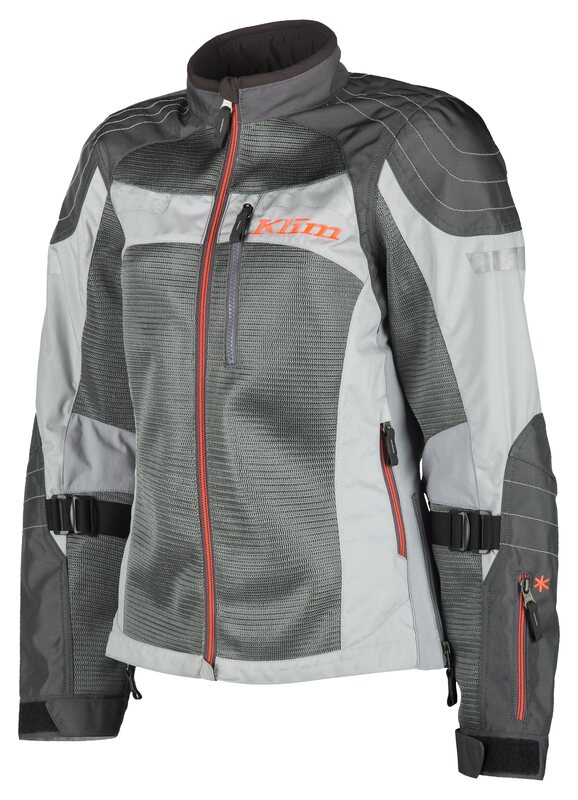 High functionality and premium quality typical of KLIM in a textile combination tailored for adventurers! • GUARANTEED TO KEEP YOU DRY®: GORE-TEX® laminate technology is an essential and indispensable feature of the KLIM product philosophy - it guarantees 100% waterproofness and prevents the outer material from absorbing rainwater, becoming heavy and prevents the wearer from losing heat and becoming extremely cold. All that without the inconvenience of unexciting solutions that you have to put on under or over it – provided that one has them at hand if required. • HIGH END VENTILATION: with the great ventilation system, the ARTEMIS can absolutely be used 365 days a year. The 10 ventilation holes on the jacket and 4 more on the pants alone provide highly effective ventilation. And when it rains, zip up the watertight zippers and continue your journey! • SAFETY PACKAGE: Level-2 certified D3O® protectors for the shoulders, elbows and hips and knees and a large back protector are the beginning. In addition, there is KARBONITE™ RipStop overlays on the shoulder, elbow and knee area and 3M™SCOTCHLITE™ reflectors for rapid recognisability, even under poor light conditions. With Altitude, KLIM offers the best material selection, fit and style for women, to conquer the all the streets in this world! • High-quality textiles, GORE-TEX® laminate technology with the "GUARANTEED TO KEEP YOU DRY®" promise. • A total of 10 waterproof ventilation holes for unrestricted comfort! • D3O® level-2 protectors on the shoulders, elbows and back, as well as the hips and knees in combination with extremely abrasion-resistant 840D CORDURA® reinforcement for maximum protection! The Avalon combines extreme ventilation with high abrasion resistance in an athletic design. The KLIM® KARBONITE MESH™ used here has been developed so that you enjoy first-class protection even on the hottest summer days! • D3O® EVO XT protectors on the elbows and shoulders and a D3O® VIPER back protector make the protection package perfect in combination with the 3M® SCOTCHLITE® reflectors! • KLIM® KARBONITE MESH™ is an extremely lightweight, durable mesh fabric with unequalled high abrasion resistance (750% stronger than polyester mesh) and therefore ideally suited for use in summer! The AVALON jacket is available in three colours: "Hi-Vis", "Light Gray" & "Dark gray" in sizes SM-2XL to the RRP of € 399.00.